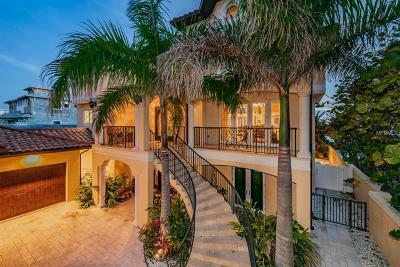 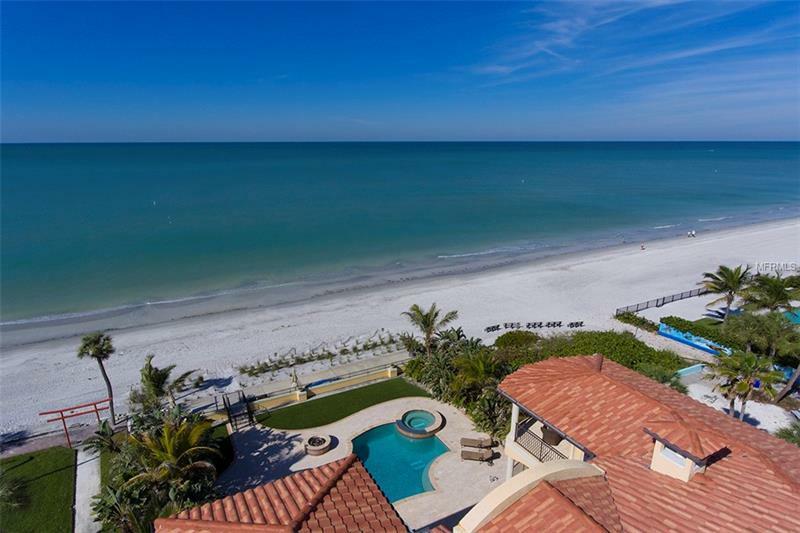 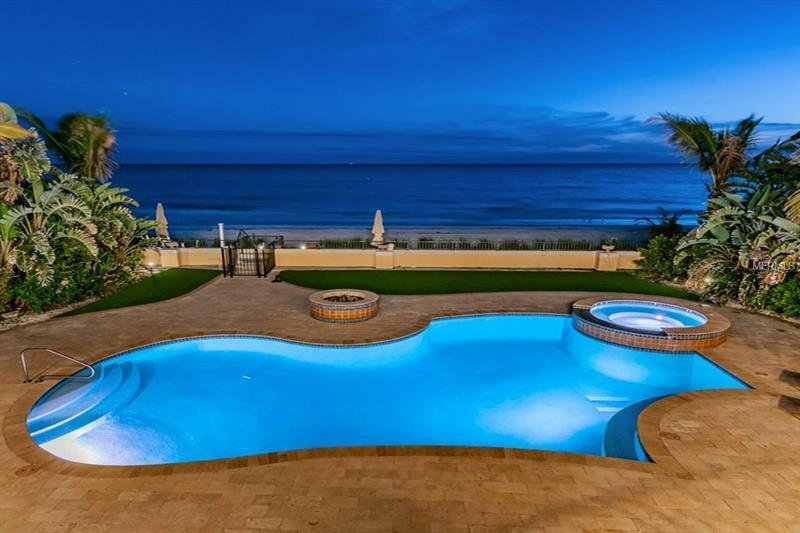 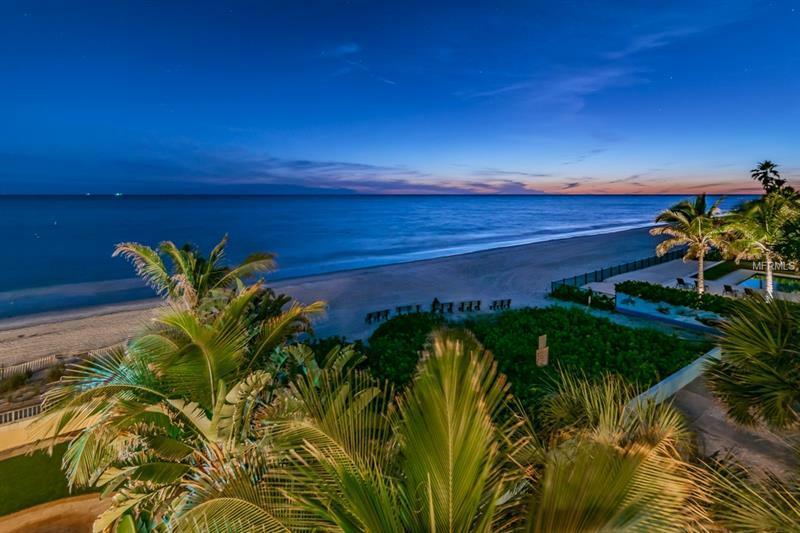 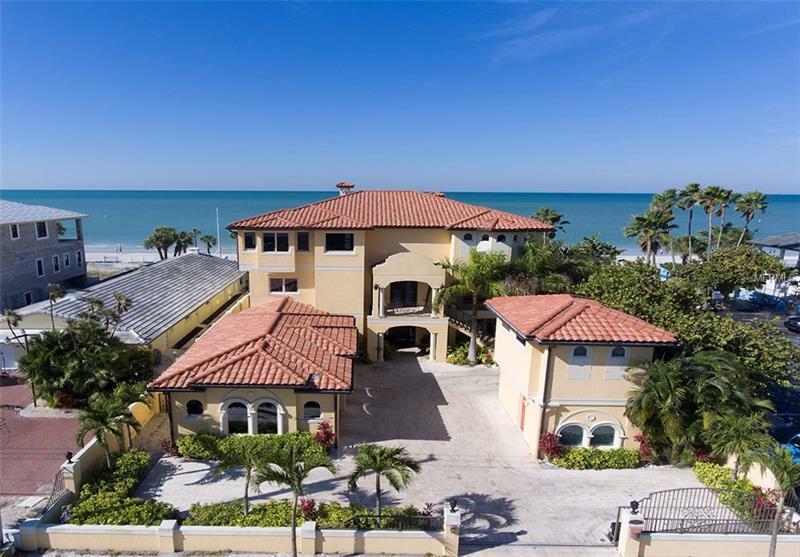 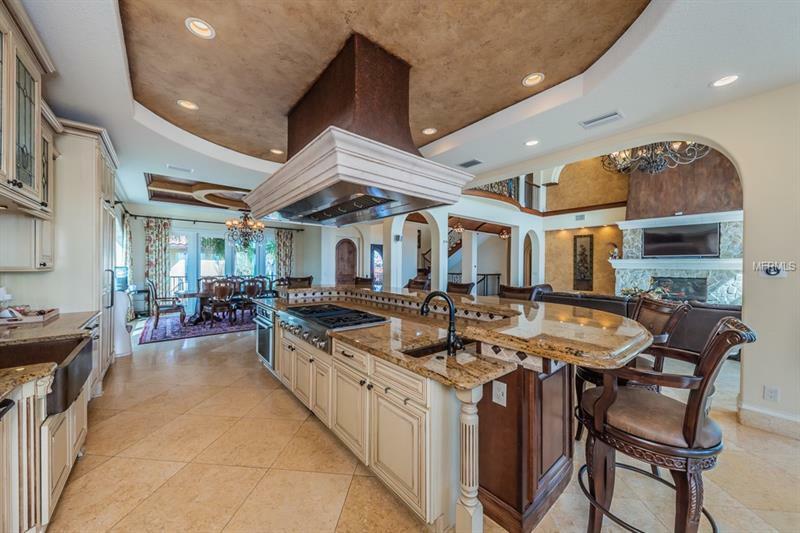 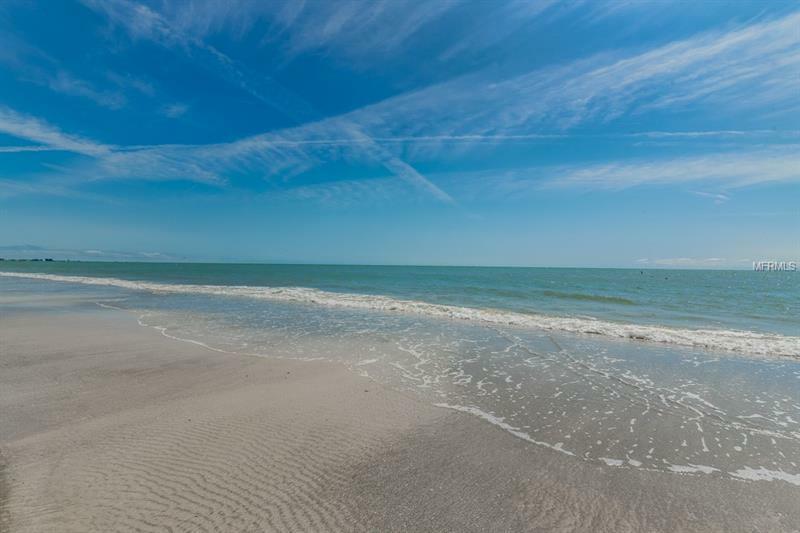 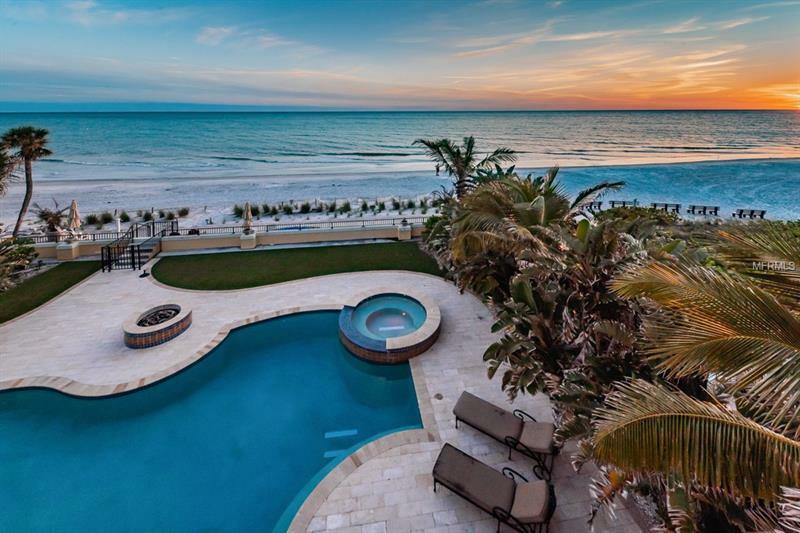 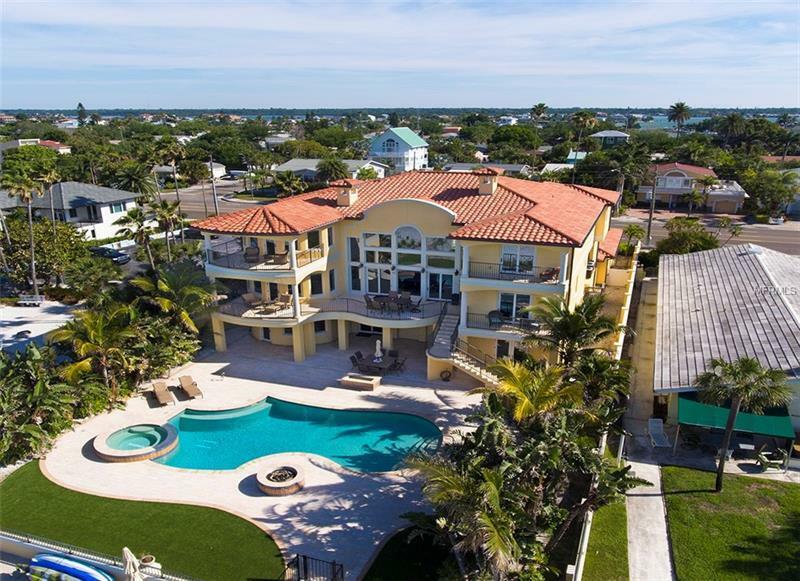 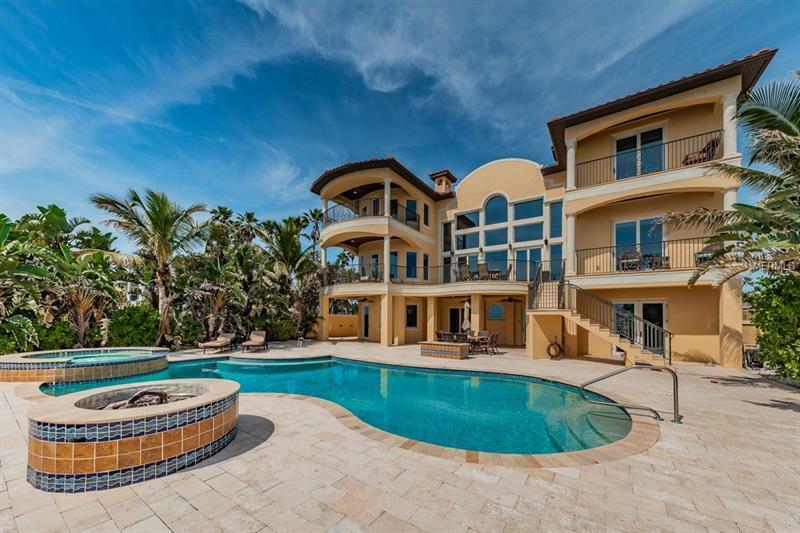 NEWLY BUILT IN 2014 ON A DEEP WIDE BEACHFRONT LOT IN ONE OF TAMPA BAYâS FINEST BEACH COMMUNITIES THIS MAGNIFICENT 11622 TOTAL SQFT COASTAL CONTEMPORARY ESTATE IS THE PINNACLE IN DESIGN CRAFTSMANSHIP & LUXURY. 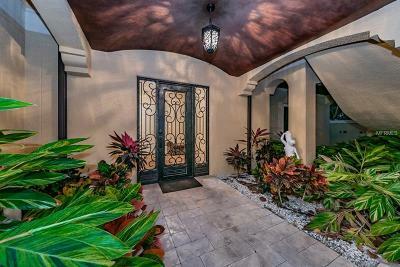 A fine gated entry welcomes you to a private compound featuring a full-service guest house & huge garage. 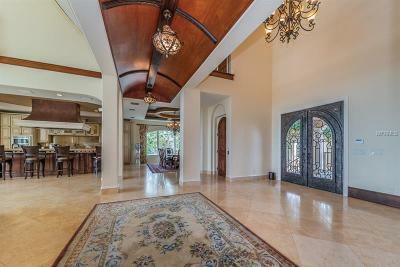 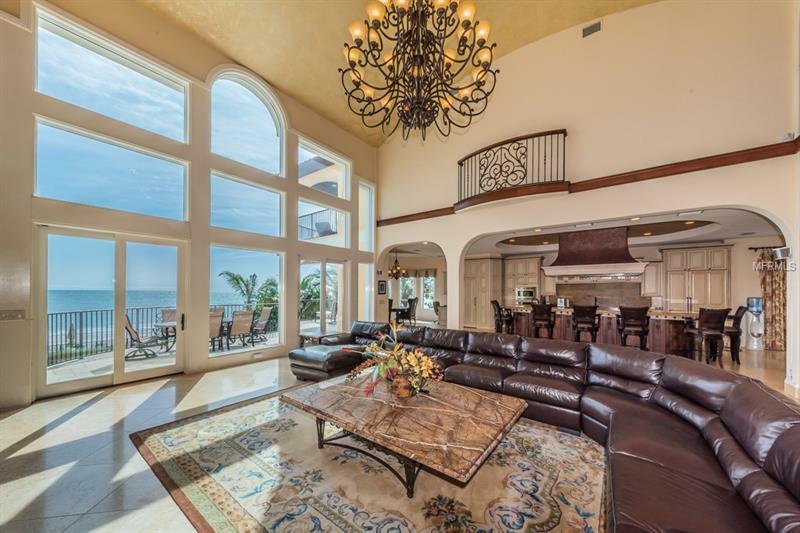 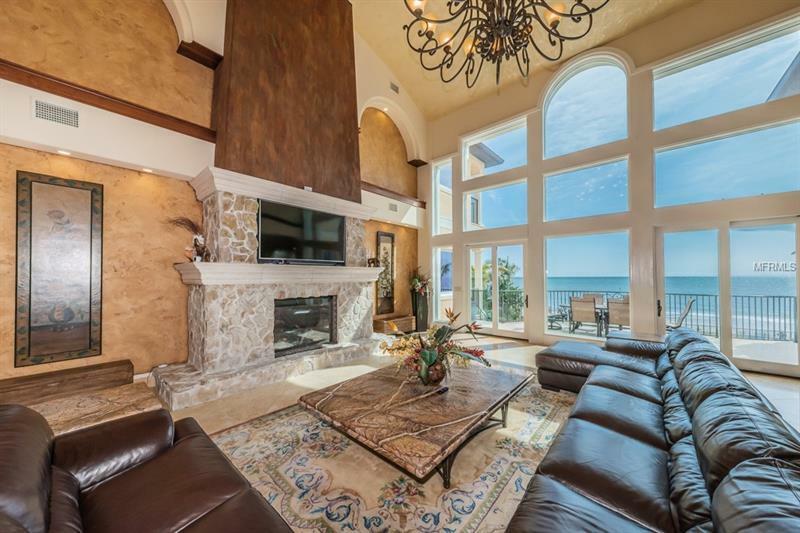 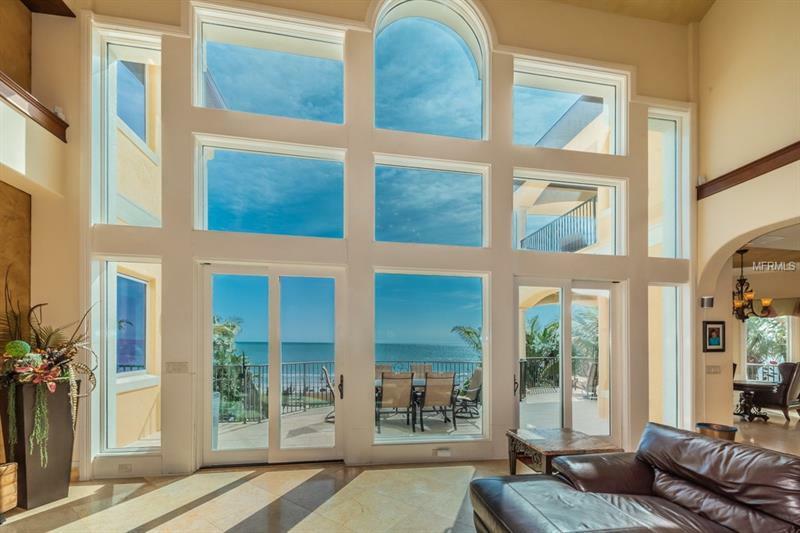 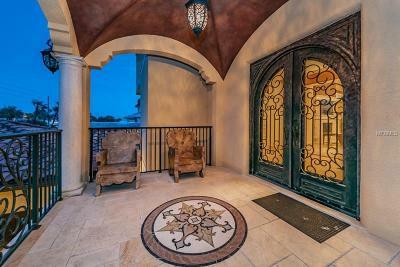 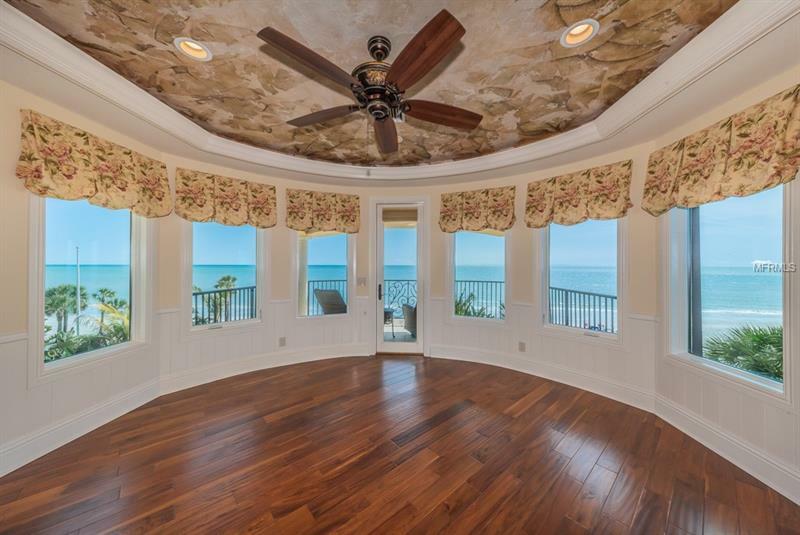 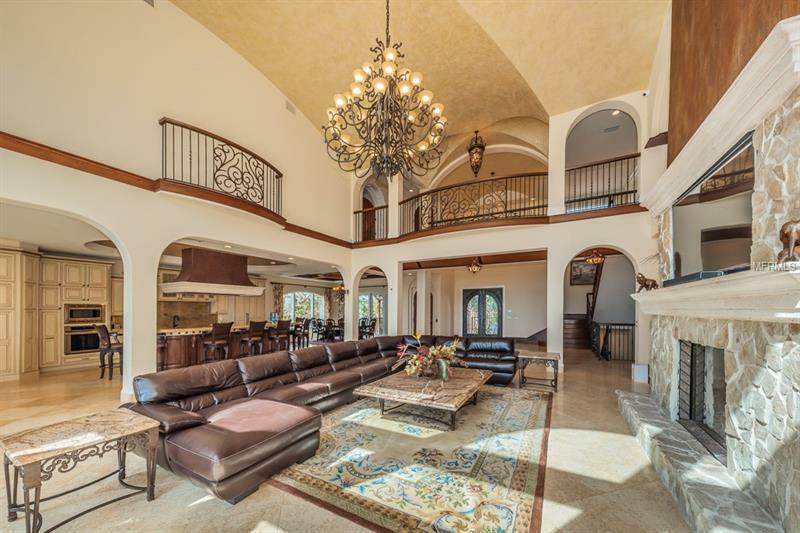 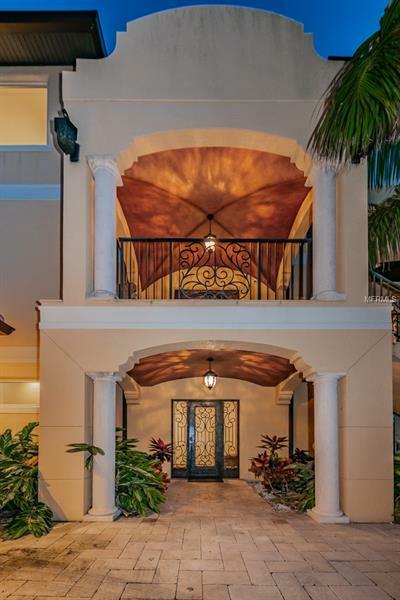 Beyond the grand bronzed-arch double door entry discover a dazzling open floor plan with a mammoth great room tall flatstone gas fireplace towering 22 ft-high groined ceilings & spectacular soaring window views of the Gulf! 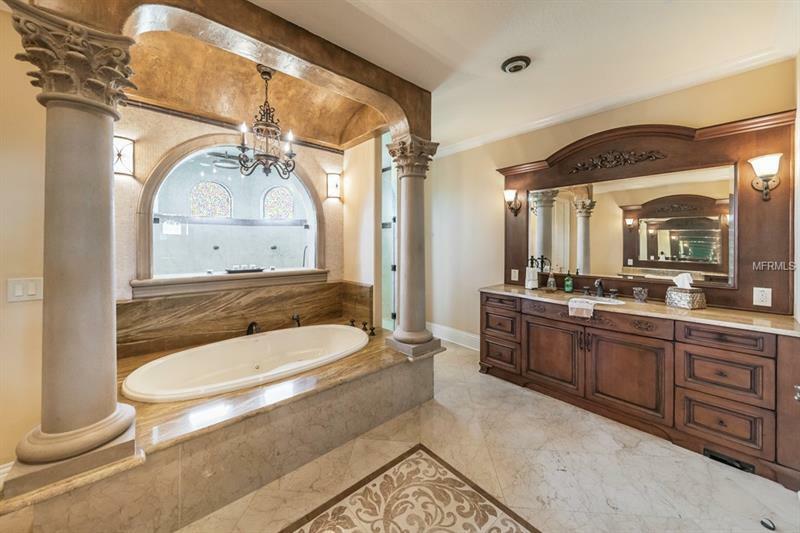 Gorgeous marble floors are complemented by exquisite lighting elegant wall treatments & remarkable woodwork. 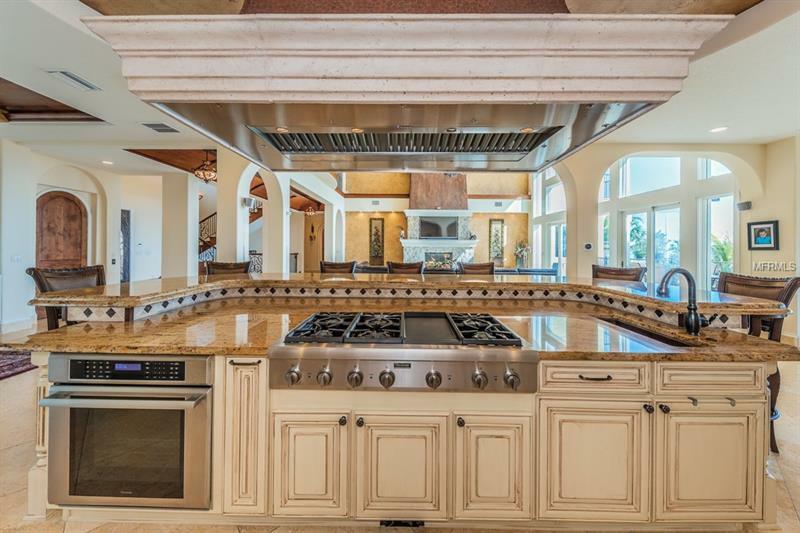 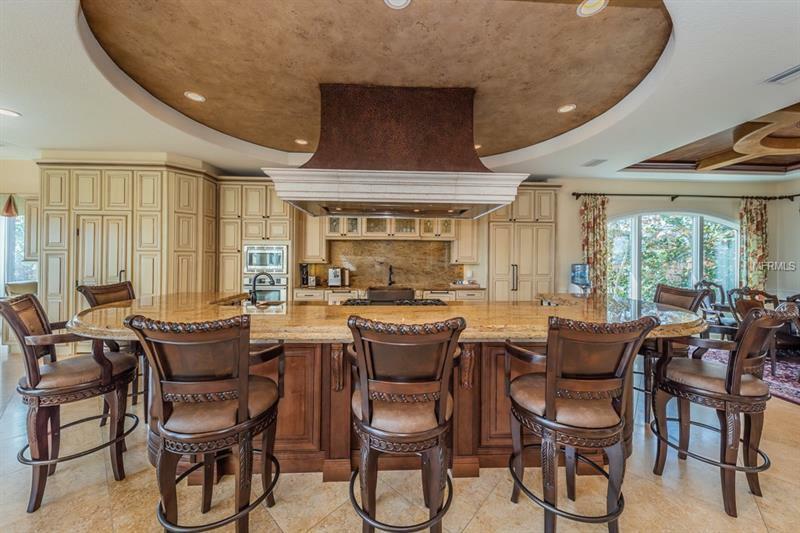 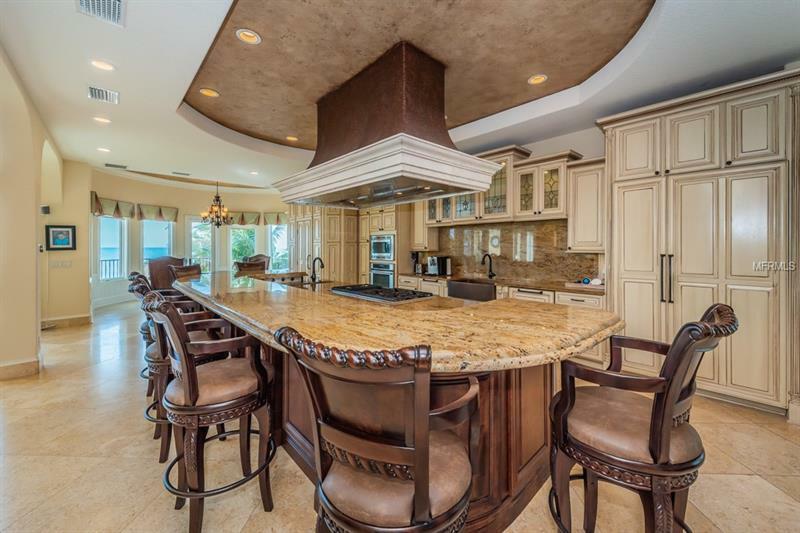 Brilliant gourmet kitchen boasts an immense multi-level center island bar natural gas cooking thick granite counters superb copper exhaust Thermador appliances & custom built-in pantry. 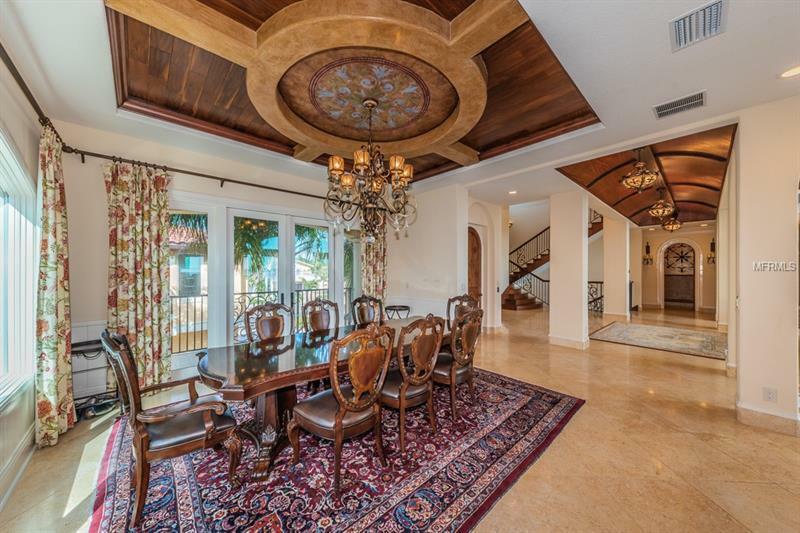 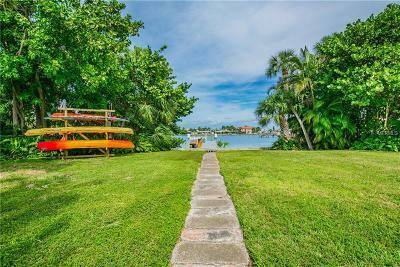 Terrific casual waterfront dining & rich formal dining area. 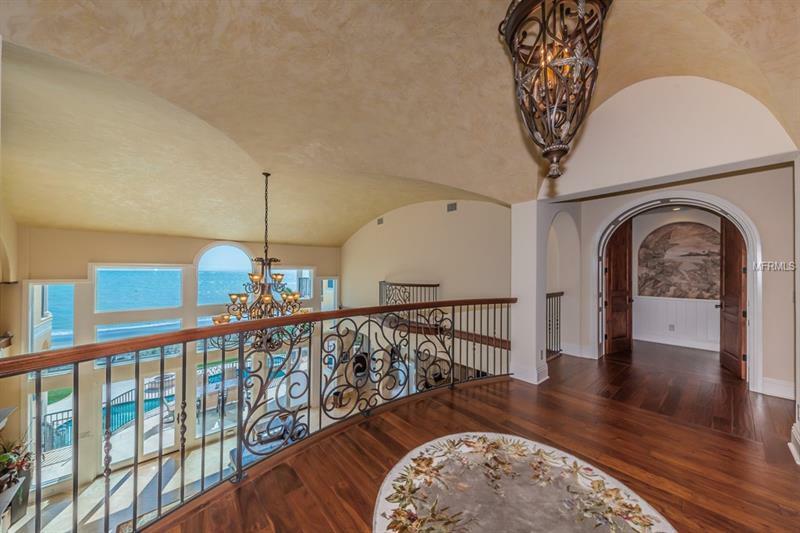 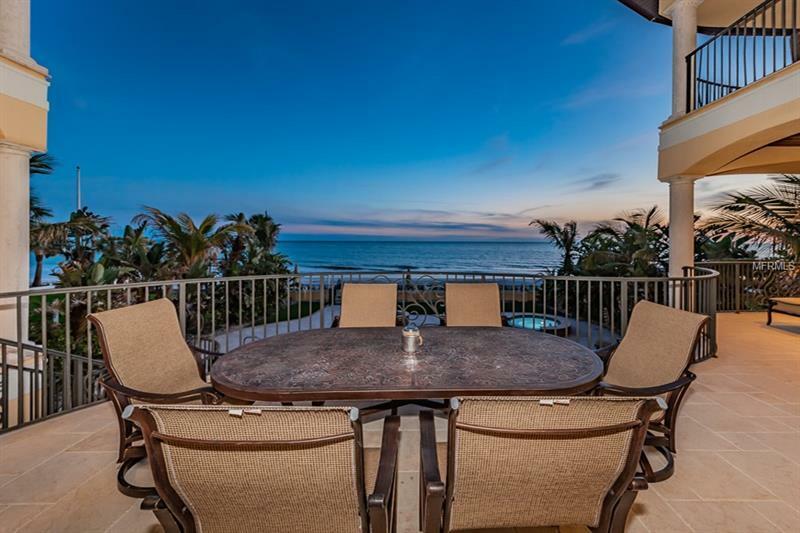 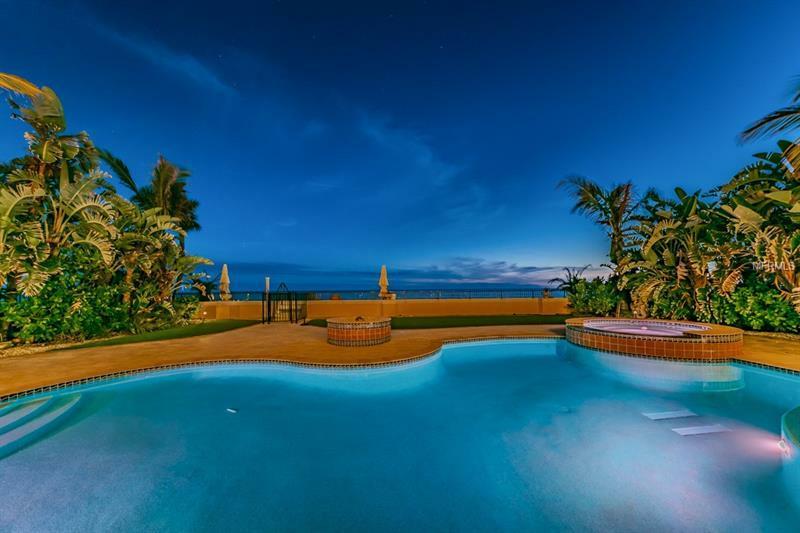 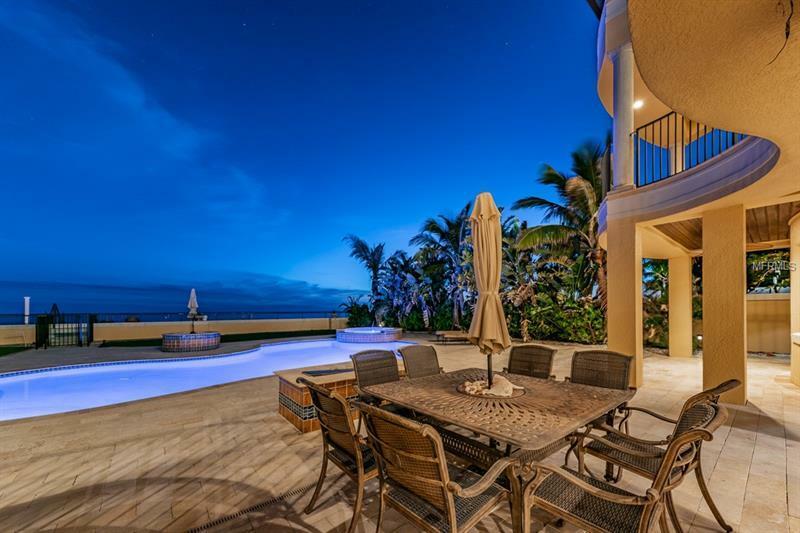 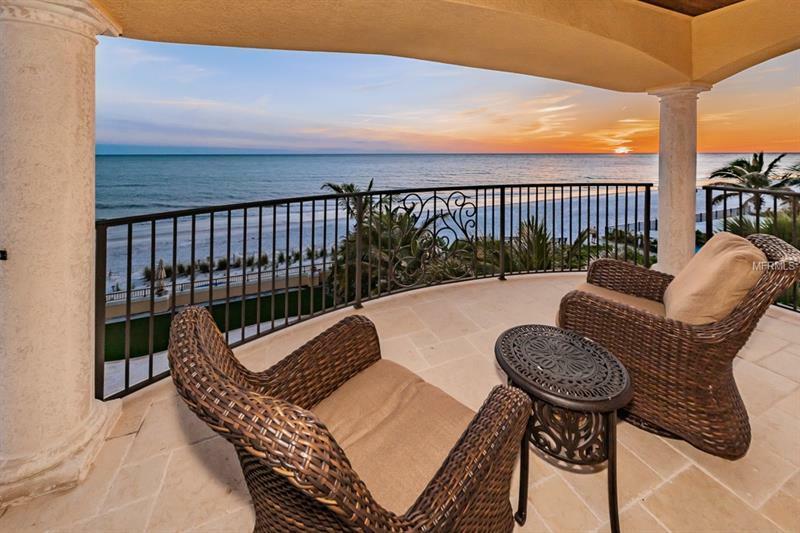 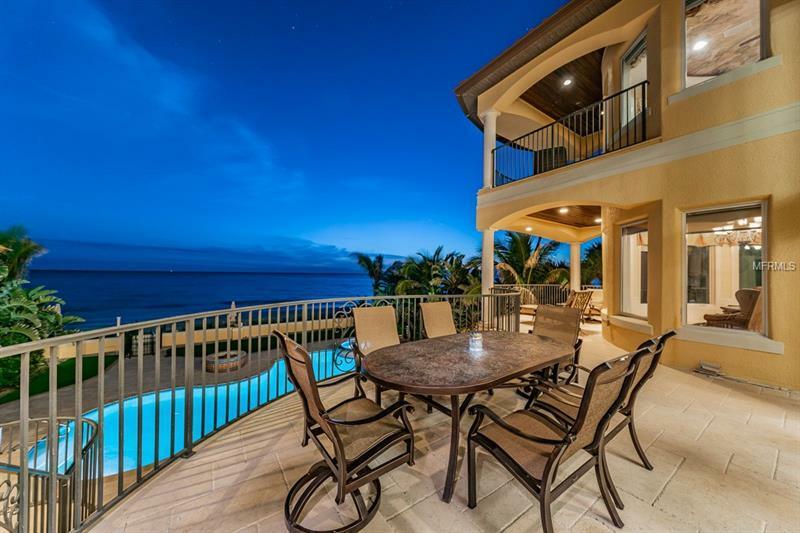 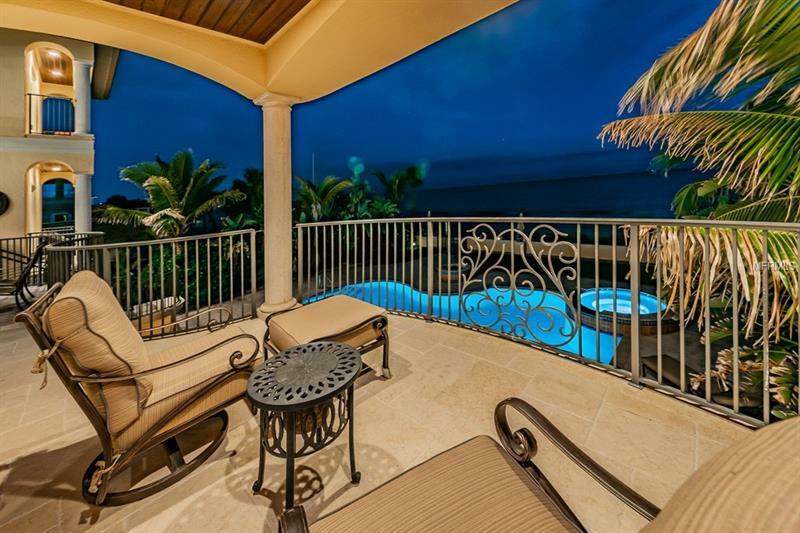 45ft-wide luxury beachfront balcony is perfect for entertaining. 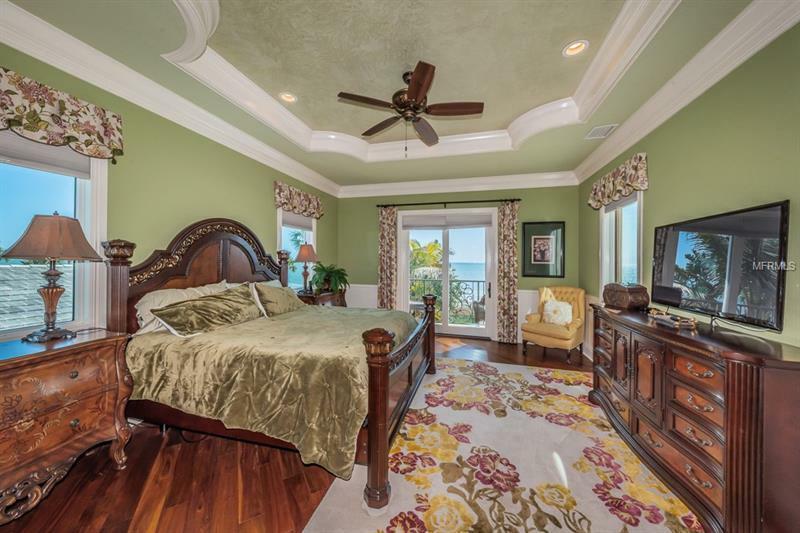 Beautifully appointed Master Suite enjoys fireplace entertainment ctr & private balcony overlooking beach. 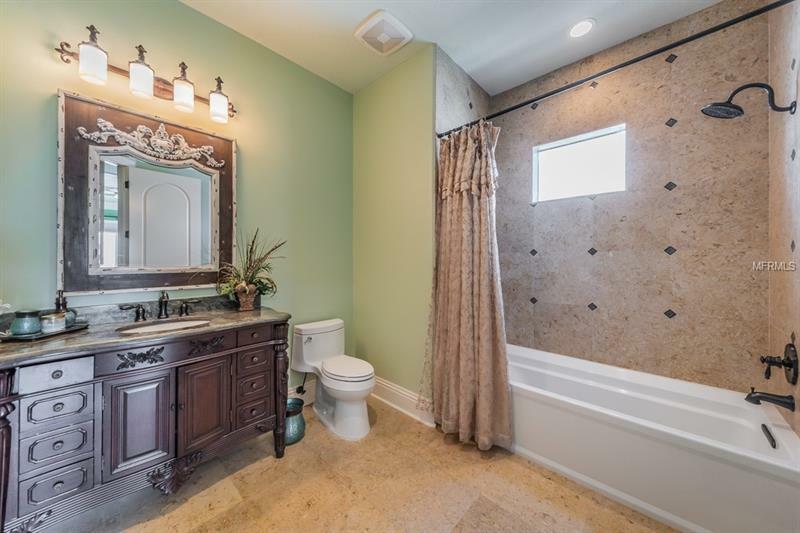 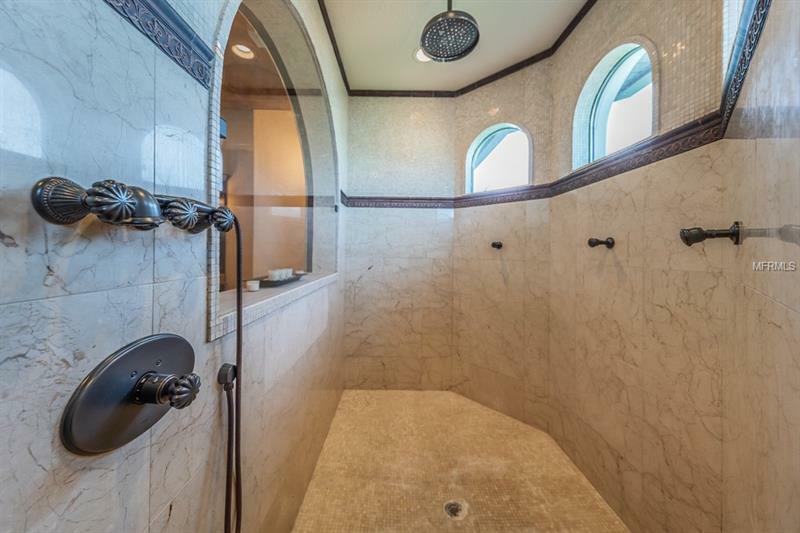 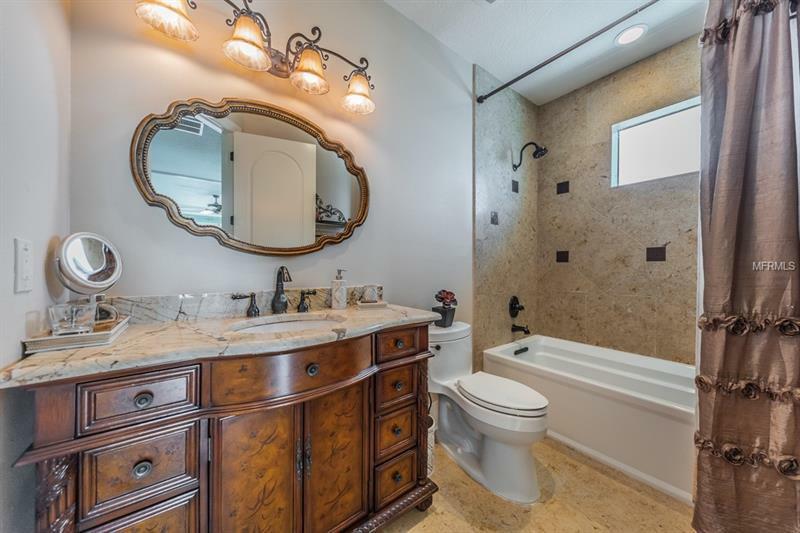 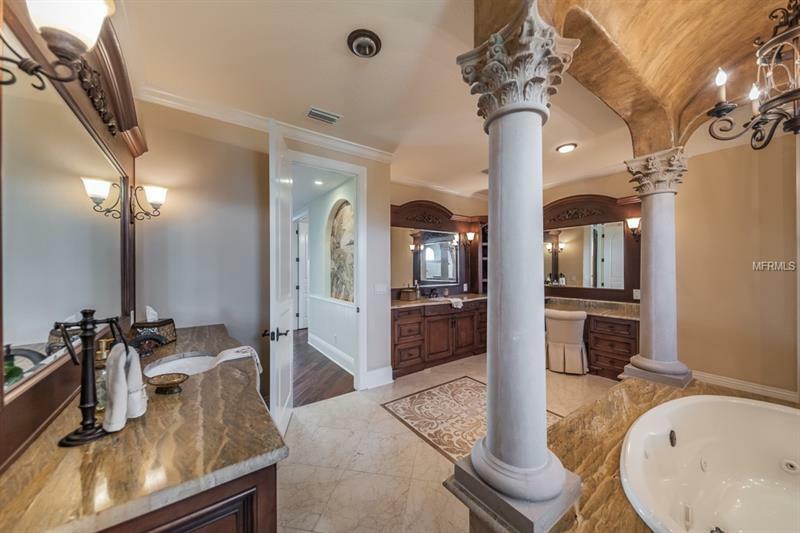 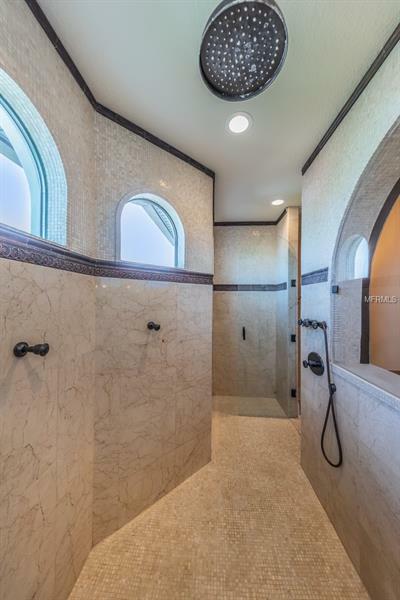 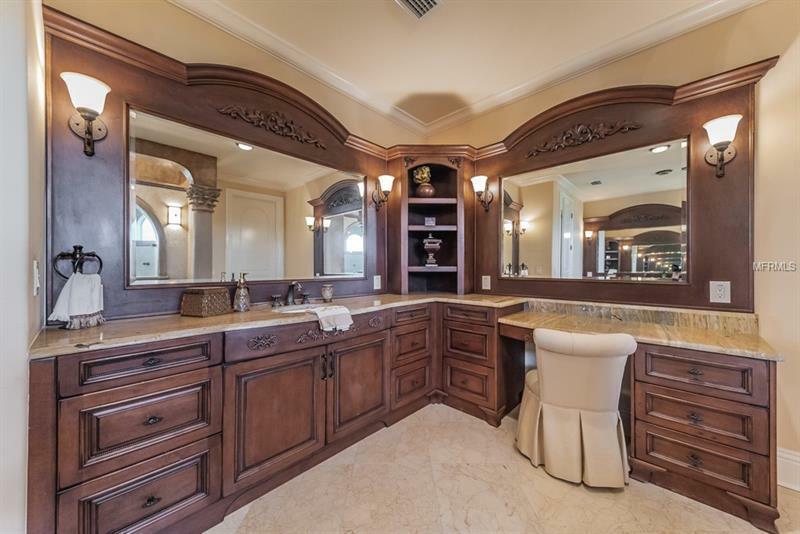 Master Bath is a lavish pampered retreat w/splendid granite/marble/wood materials jetted spa tub posh open shower & cosmetics area. 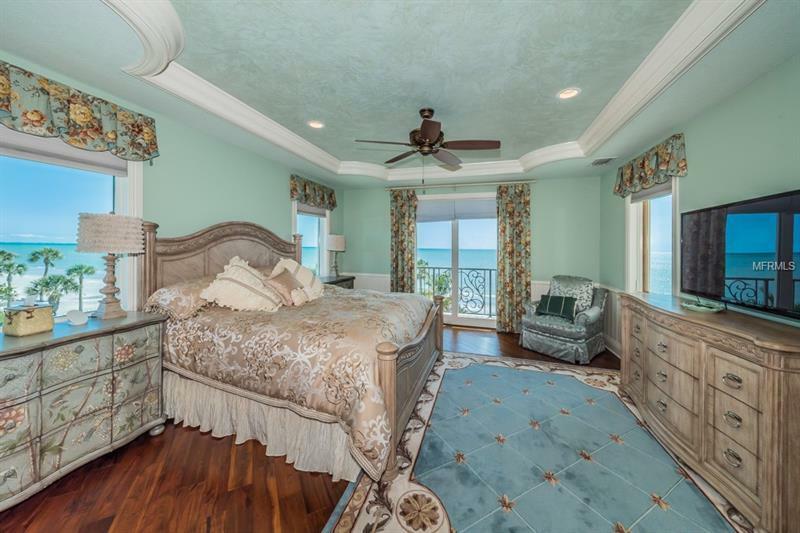 All bedrooms are ensuite w/fabulous full baths and 3 suites w/private balconies overlook the beach. 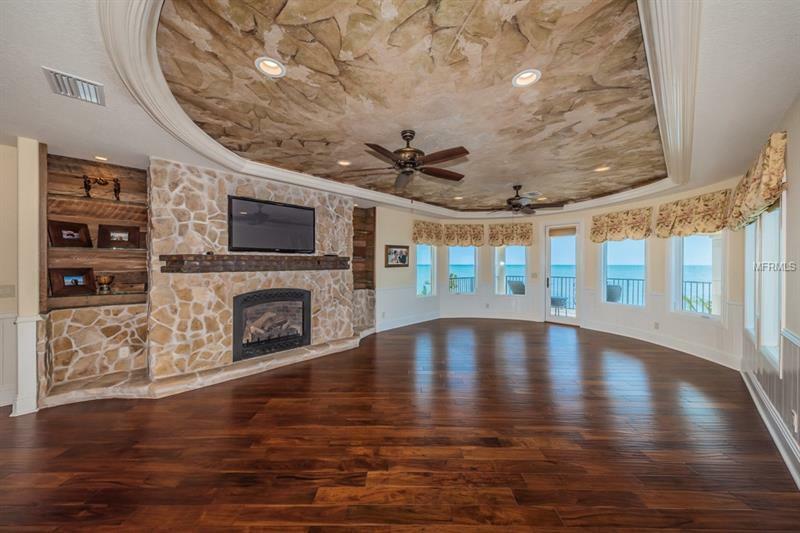 Huge multi-purpose area extensive storage stunning travertine paver pool deck Pebbletec Pool/Spa & built-in gas firepit â yard is designed for privacy yet w/easy beach access. 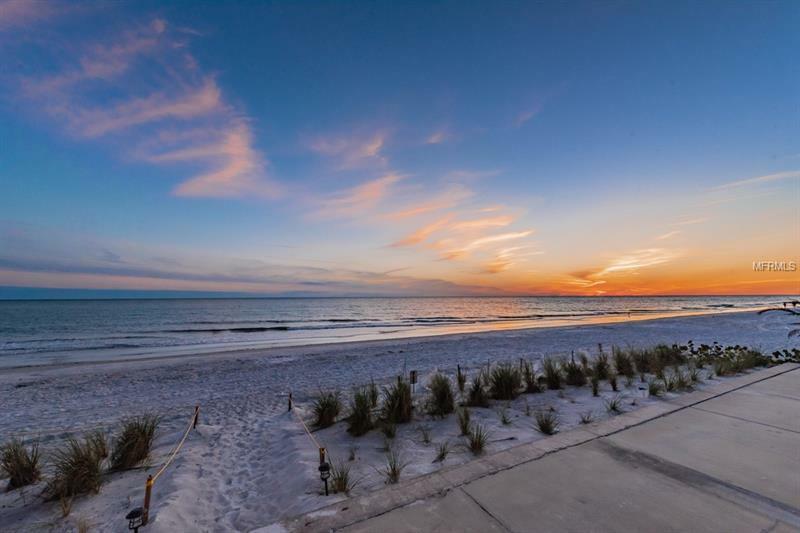 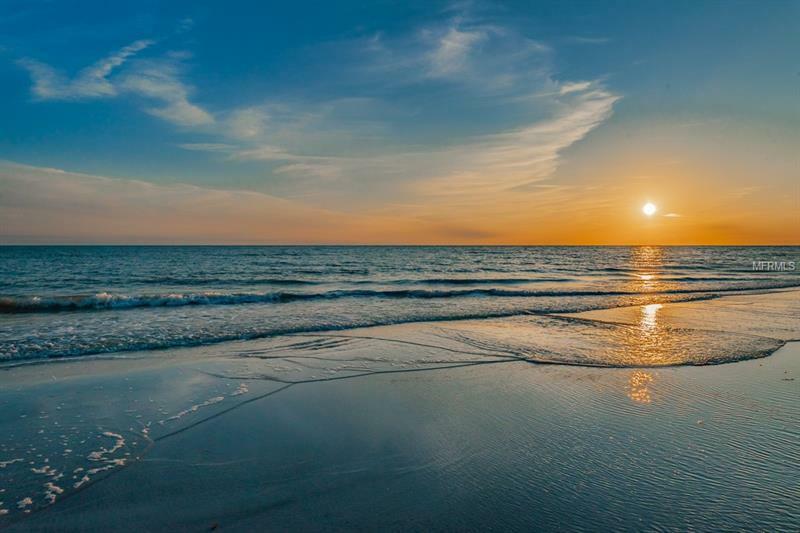 A rare oceanfront treasure!